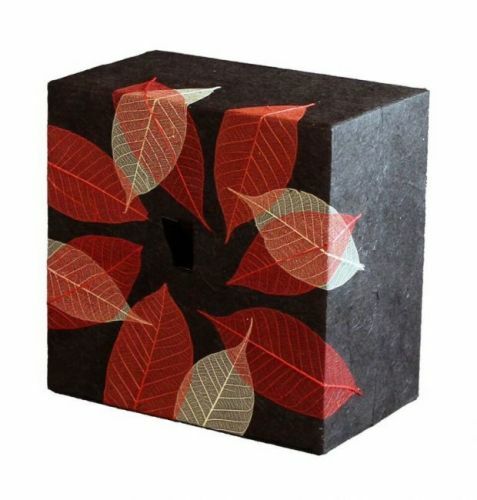 This Autumn Leaves Embrace Earthurn is made from elegant black handmade paper with decorative leaves inlaid into the paper. We also have a matching keepsake available, please select this from the product options below if required. The standard urn measures 8.25" 8.25" x 5" and has a volume of 250 cubic inches/4.10 Litres and the keepsake measures 4.25" x 4.25" x 2.5" with a volume of 36 cubic inches/.59 Litres.